Huge and useful boot space. Well-built and solid interior. Comfortable long distance cruiser. Excellent diesels. Very refined. Doesn't deal with corners as well as other premium estates. Disappointing smaller petrol engines. Still has foot-operated parking brake. 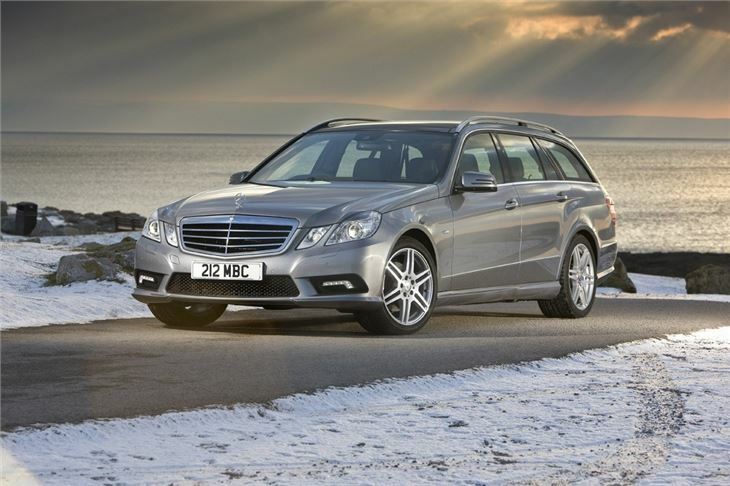 Report of timing chain failure of 2010 Mercedes-Benz S212 E200 estate at 67,000 miles. Rear air suspension also failed. 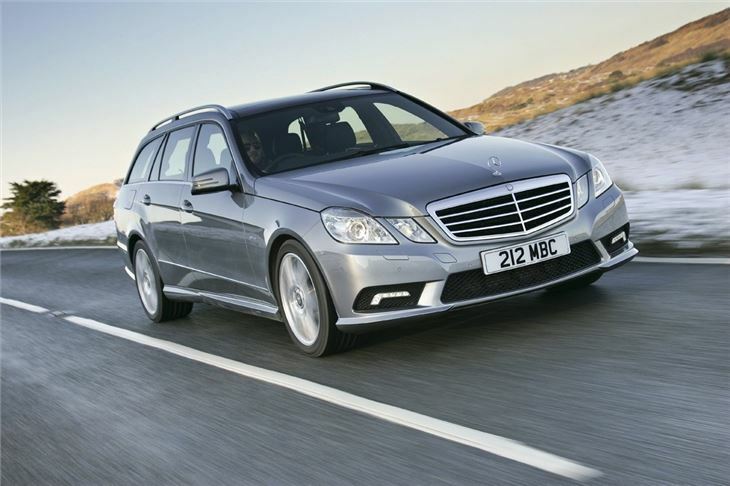 The Mercedes-Benz E-Class Estate is a large and luxurious family car that majors on limo-like refinement with van-rivalling carrying capacity. 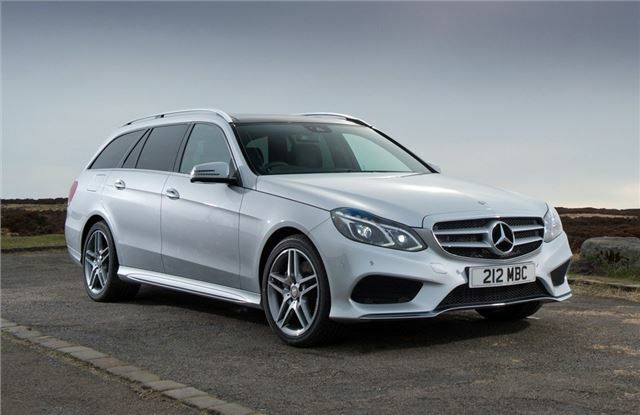 Admittedly, the E-Class is not the most fun estate to drive, but its handling shortcomings are far outweighed by its low running costs, outstanding comfort and day-to-day practicality. 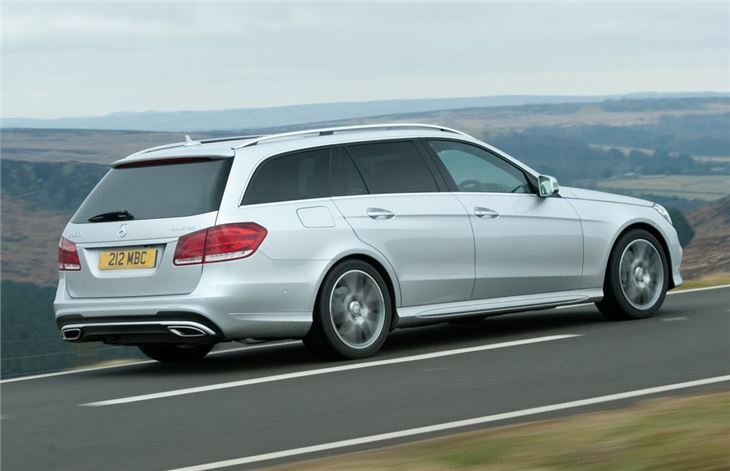 The E-Class Estate is one of the largest cars in its class, surpassing both the Audi A6 Avant and BMW 5 Series Touring for boot space. 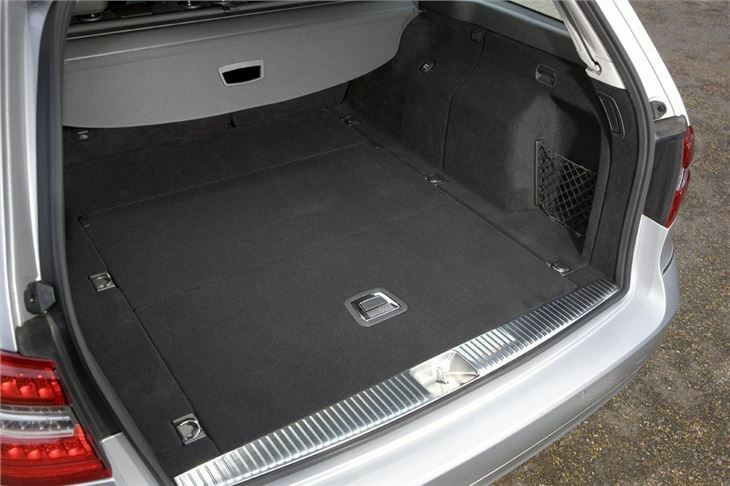 Most models will provide a maximum of 1950 litres with the rear seats down and almost 700 litres with them in place. Access is easy too, thanks to the powered tailgate and load-retaining nets. Both of which are fitted as standard. 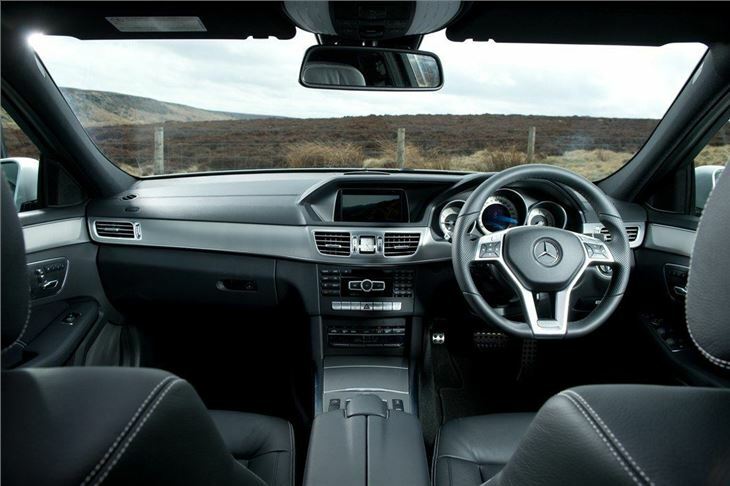 All models get leather trim and interior build quality feels reassuringly solid, although the dashboard layout does feel a little dated compared to the Audi and BMW. There is lots of space for four adults though, with plenty of head and leg room. 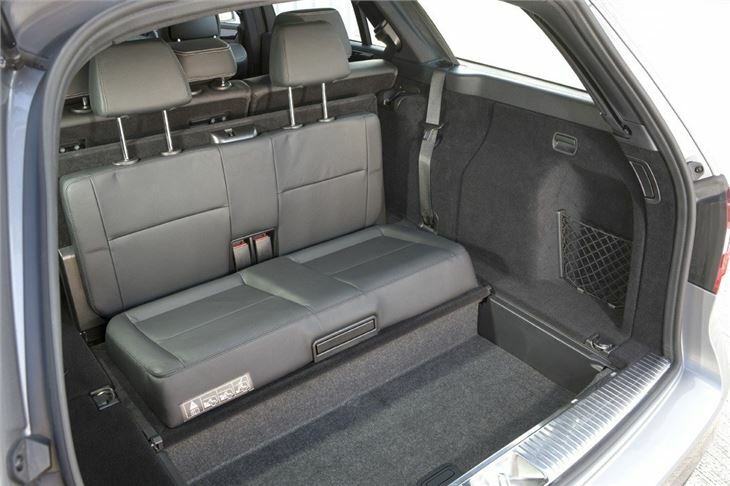 However, as a five-seater, the cabin struggles, with the raised transmission tunnel limiting space for those in the middle rear seat. 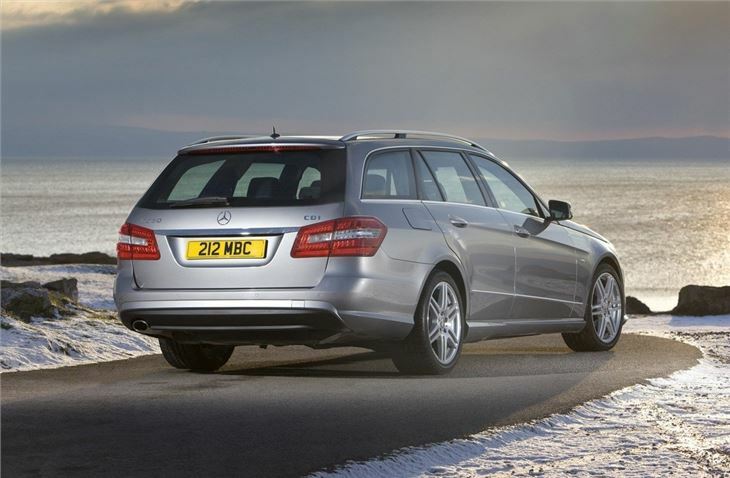 There's a good choice of engines, spanning frugal diesels to potent AMG petrols. 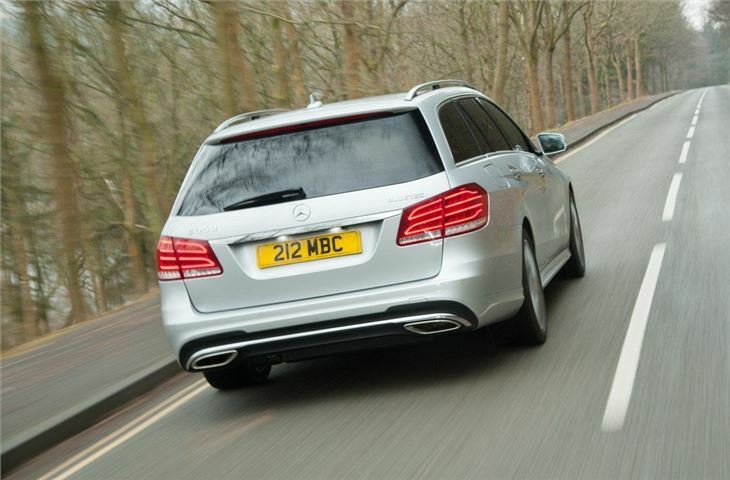 The E350 BlueTec is the pick of the bunch, with its 3.0-litre V6 covering 0-62mph in 6.6 seconds and returning an official 51.4mpg and 143g/km of CO2. 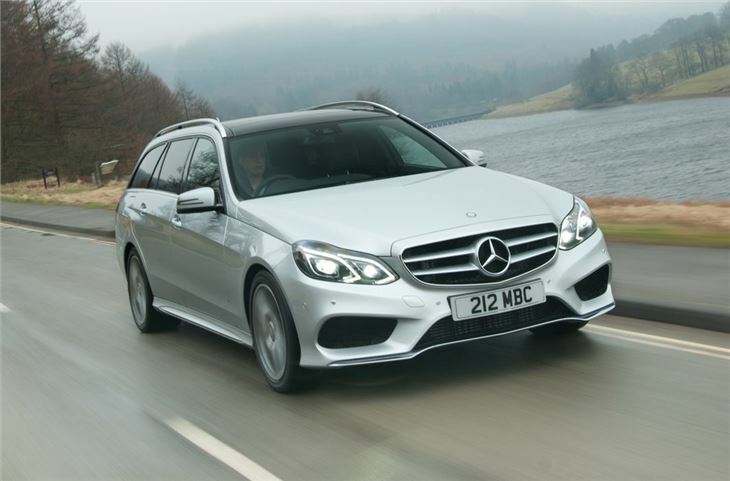 The 2.1-litre E220 BlueTec is cheaper to buy and slightly more cost effective to run over the long-term - with a claimed 60.1mpg - but lacks the refinement and mid-gear acceleration of the V6. 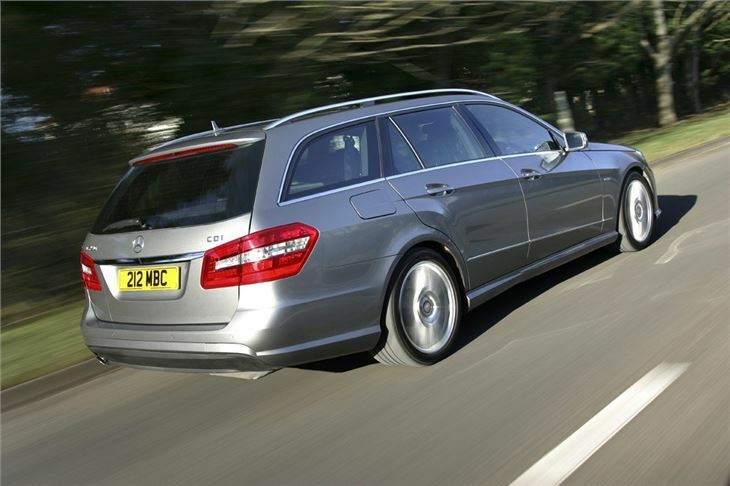 Driving reward is not the highpoint of E-Class Estate ownership, with most models prioritising comfort and refinement over dynamism and fun. As a result the lower-powered models feel a little sluggish and slow compared to their the Audi and BMW rivals. That said, the ride is almost always smooth and comfortable. The rear self-levelling air suspension also ensures heavy loads don't affect the handling. Owing to its high levels of refinement and comfort, the E-Class feels more like an elongated limo than a family load lugger. It's comfortable, practical, easy to live with and a great long distance cruiser. 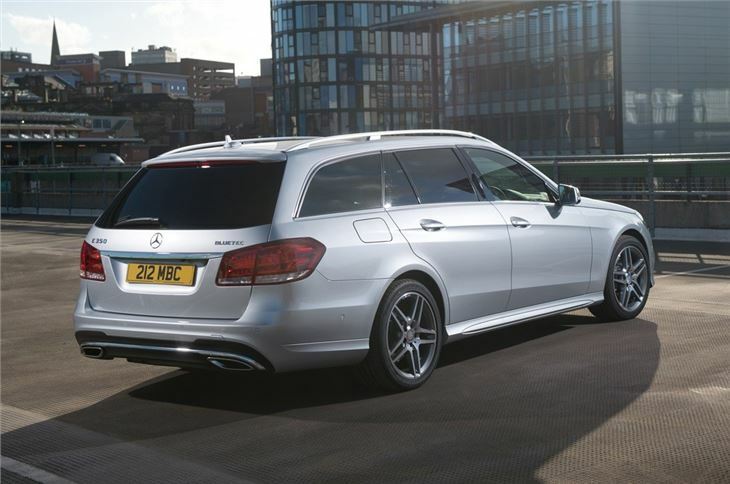 Some might be put off by the slightly dated interior and mundane drive, but if you prioritise comfort and practicality over cutting infotainment and handling then the E-Class Estate will be the perfect estate for you. Capable if a bit soulless . Stunning face-lift design, refined and comfortable drive, but rides quite low, so beware of speed bumps.